Where the Craft of Beer Packaging Meets the Craft of Brewing. Victory Packaging can help your craft beers tell a story that consumers will never forget. From environmentally responsible packaging to warehousing and equipment, we are your one stop shop for everything your brewery needs regarding beer packaging. We understand the importance of producing your beer as quickly and efficiently as possible, while staying true to who your brand is. 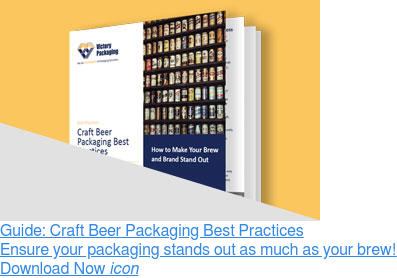 Our Architects of Packaging Solutions are where you are and will handle everything from packaging to fulfillment to equipment, allowing you to get back to the craft of brewing. With a wide variety of products and services, we are confident we can find a solution that is right for you.